With the lasting effects of the global recession making it that there is more competition for fewer jobs, it makes a whole lot of sense to ensure that your CV is as appealing as possible. For people wanting to work with kids, there are all manner of ways in which to make sure your CV stands out from the crowd; and with there being more people who have great experience and are happy to work for less than you, whatever you can do to enhance your application should be grabbed with both hands. Work experience is a terrific way to boost your chances of gaining the job you hope for. All too often people think of work experience as being just for teenagers, but it’s actually ideal for people who have not worked for a while or have worked in a different field. Rather than having to start again from the bottom of a new career ladder, relevant work experience lets you use your previously-gained professional experience in the new field. After all, it’s a way to have relevant experience added to your CV without the employer having to commit to hiring someone without the right background. Speaking of backgrounds, it is always worth having an up-to-date DBS, check if you’re looking to work with children; it’s relatively cheap and easy to arrange. Having a DBS check will show that you are committed to working with kids too, which is a positive statement in a tightly-regulated sector. 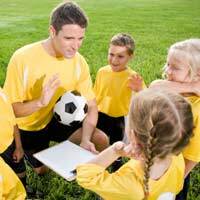 There are plenty of after-school clubs that are keen to have an extra pair of hands. Apply directly to schools and say that you are looking to gain some relevant work experience to boost your chances of gaining full-time work in the sector. Be prepared to be interviewed in depth, and think about what skills you have to offer. It may be that you have great bookkeeping skills, or particularly strong fundraising abilities that PTAs would value. Working with kids involves all manner of skills, so think outside the box! Church groups are often looking for support workers to help with weekend activities and during services. There are also often outings that need a certain number of adults. Ballet dancing, gymnastics, cubs, scouts, football teams…all local clubs need help. With the DBS check being required for every volunteer or worker who comes in to contact with children, for some parents who may perhaps have previously been happy to give a couple of hours a week it’s an annoying detail that stops them from offering. Look in your local phone book to find lists of clubs that would be pleased to have your help. Working with kids at holiday clubs is an ideal way to get relevant work experience and a sun tan at the same time! Lots of holiday resorts both in the UK and abroad are looking for people to work with their teams, both on active and support roles, which would look great on your CV and give you a chance to learn different aspects of working with kids. Find them by looking online for family holiday resorts that have kids’ clubs, or large international hotel chains that employ people to work with and entertain children. There are loads of theatre groups that would appreciate someone offering work experience – as long as you are prepared to work crazy hours with all different types of children, it can be an excellent way to learn more about working with children in a totally unique environment. Many large towns and cities have theatre groups and drama clubs for children, especially during school holidays, so apply directly in plenty of time. Applying for work experience at any of these groups and clubs is easy when you know how. Offering work experience is rather different to asking for a permanent job as you are not usually asking for payment (although expenses are common) and it is for a set amount of time – usually two weeks, one month or a season. Make your application positive and up-beat and make it clear that you have an up-to-date CRB check. Be honest – say you want to work with kids and know that your current professional experience will be enhanced by gaining relevant work experience. But don’t just leave it generic – say why you want to work at that particular club or group by mentioning a project that appeals, such as your own drama experience or passion for ballet. Hye! I am interested to do voluntary job with kids. Can you help me to find a job in Leeds. I am manisha.i I am looking for volunteering work with kids of any age.i have done child and adult course too.i had school experience of 13 years in INDIA.I live in pinner.so I would like to do volunteering near pinner.I know GUJRATI, HINDI AND ENGLISH language. You would have to apply directly through the likes of Tourettes Action here and the ADHD Foundation here . Or, you could volunteer directly through the school he attends. Do-It also may be able to help further, please see link here. I hope this helps. I would like to volunteer to work with children as I'm thinking of applying for a course in childcare and think the experience would help me along the way to achieve that.Any help would be much appreciated.Thanks. i love working with kids and i help them with any problems for example tie there laces put on there coats etc. I would like to volunteer with kids on educational orgnazation haw can I applay. I am a Graduate of MA Childhood Studies, I have a DBS and I am an Arabic language speakers.looking forward to find opportunities with you. You can apply through the Do-It site here which should help. Hello, Could anyone direct me in the direction of becoming a mentor in Hampshire? I have looked around online but can not find any opportunities. I am not a parent. I would like to enrich and support the life of children from disadvantaged backgrounds, like myself. I am aware that this is a big commitment to make and there is a lot of other factors to consider and i feel i have the qualities to support that. You would have to apply for a job directly through a website such as Indeed, see link here. I hope this helps and good luck. hi, im look for work experience working with children please could you email me thanks many. @shez - volunteering would be a great way to start, so you could apply directly to any special needs residential homes in your area that you know of, or look on online volunteering sites. It will also give you the time to see if that is the direction you would really like to go along. You could also volunteer in a school as a teaching assistant in order to get some experience, if there aren't too many residential homes in your locality, see link here . I hope this helps. @Sagren - I have included a link to the Children's Society page here. I hope this helps. hi I'm look for work experience working with children as i start back to college in a few weeks and need to find a placement to complete my course in health and social care. I would like expieriance with infants. I need some one to teach me the basics before I become a mother. How should I do this? I am looking to gain expeirence so that in the future I will be able to work with children in careI have been a mother and spent a few years doing work expeirence in a nursery also was a dance teatcher at a primay school for children with challenging behavior if you have sny advice on how I can go about this please could you email me thankyou many thanks Dannielle. Hi. I would like to volunteer with yourselfs i love working with children and would appreciate of you could contact me. I am Peter looking for volunteer work in special schools I am qualified English teacher a Namibian citizen 24 years teaching experience ,I love working children.